Physio Assured offer Physiotherapy and Massage Treatment in the comfort and privacy of your own home or at one of our outstanding clinics, in Hemel Hempstead, Aylesbury & Milton Keynes. 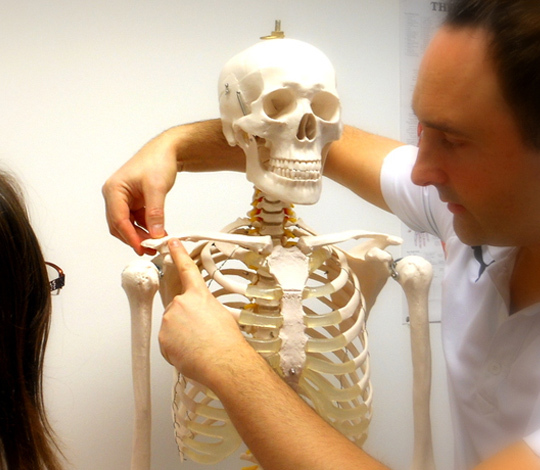 Founded in 2010 Physio Assured, have 2 clinics in Hemel Hempstead, Aylesbury & Milton Keynes. Our team are all registered with the HCPC and full members of the Chartered Society of Physiotherapy. All our patients are asked to provide feedback on their experience with us for our testimonial page. Experience the Physio Assured difference! First and foremost we are your personal Physiotherapists who will initially carry out a comprehensive assessment of your needs and then offer an appropriate and effective course of manual therapy treatment and/or home exercise plan. We offer a 7 day service and home visits are available on request. Include: alleviation of pain, restoration of motion in joints, prevention of injury, rehabilitation after injury, boosts strength & endurance. A massage only service is available: a range of massage techniques are available from: Remedial, Deep Tissue through to General Therapeutic Relaxation. All this can be performed in the comfort & privacy of your own home at a time and date to suit you, no need to travel to and from a clinic or hospital. However, we also offer a therapy room at our Hemel Hempstead or Aylesbury clinics should you prefer to visit us. For more information about prices please visit our fees section. Physio Assured are proud to provide you with a very professional yet friendly service, if you would like to be told things in laymans terms consider it done. No more complicated or confusing words to try and understand or get your head around, if you want things simple... you got it. Plus free refreshments on your initial assessment. Here we find out all about the reasons why you have come to us and draw up a treatment plan tailored to your individual requirements. We don’t forget about you after you’ve left our care and are always on hand to answer queries you may have after discharge. All our patients are asked to provide feedback on their experience with us too and comments are left in our testimonial page.